Reality, truth and true scientific knowledge is objective. Reality, truth, and true scientific knowledge is subjective. The starting point of science and the most basic scientific ‘fact’ is the objective existence of a universe of bodies in space-time. The most basic scientific fact is an awareness of a universe of bodies in space and time. Space and time are objective dimensions of reality in which things ‘exist’. Space and time are subjective dimensions of awareness. The universe is composed of units of matter and energy. The universe is composed of awareness. Energy is the materialisation of awareness. Awareness or ‘subjectivity’ is something ‘owned’ - the private property of an ego or ‘I’, being or person, self or ‘subject’. 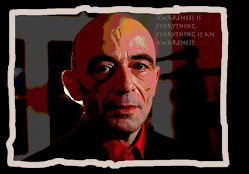 Awareness is not something we ‘own’, not the private property of beings, persons, selves or subjects. Instead it is the very source of all individualised beings and all localised subjects. Awareness is an emergent property or evolutionary by-product of an unaware matter and energy and a property or ‘function’ of the body. Not just the human body but all bodies are outward shapes taken by awareness in the course of its evolution. Awareness is something possessed and bounded by bodies in space, like a ‘soul’ contained within the ‘body’ and bounded by it. Awareness of the world around us - of the space surrounding our bodies and of other bodies – is not itself bounded by our own body. The soul or psyche is not merely an inner awareness of ourselves but embraces our entire awareness of the world around us. We are our minds and bodies, thoughts and emotions, impulses and actions, and the way we experience ourselves through them. Our minds and bodies, thoughts and emotions and sensory experience together form our experienced self. We are not our experience or our experienced self. We are the awareness which experiences that self. Awareness is something localised in the brain and always focussed on some object or ‘thing’. Awareness is essentially non-local – a space or field within which we come to experience things and can choose to focus on them. The mind is a mirror of the world. The mind is a mirror of our awareness of the world. Subjective awareness is a mirror of an 'objective' world. The world is a mirror and a manifestation of awareness. Awareness is always awareness 'of' something. Awareness as such is prior to, distinct from and transcends all things we are aware of. Awareness is the same as ‘consciousness’ of things. Like empty space, awareness as such embraces, transcends and pervades everything we are aware or ‘conscious’ of. The so-called ‘unconscious’ is not a state of non-awareness but pure awareness - awareness as such. All things – all bodies and beings - are made up of forms and patterns of matter and energy. "We are such stuff as dreams are made on."Shakespeare. Every thing or being we are aware of is in turn composed of forms, patterns and qualities of awareness.